Tonight I fixed Sunday dinner for myself, since MS is in Ireland. 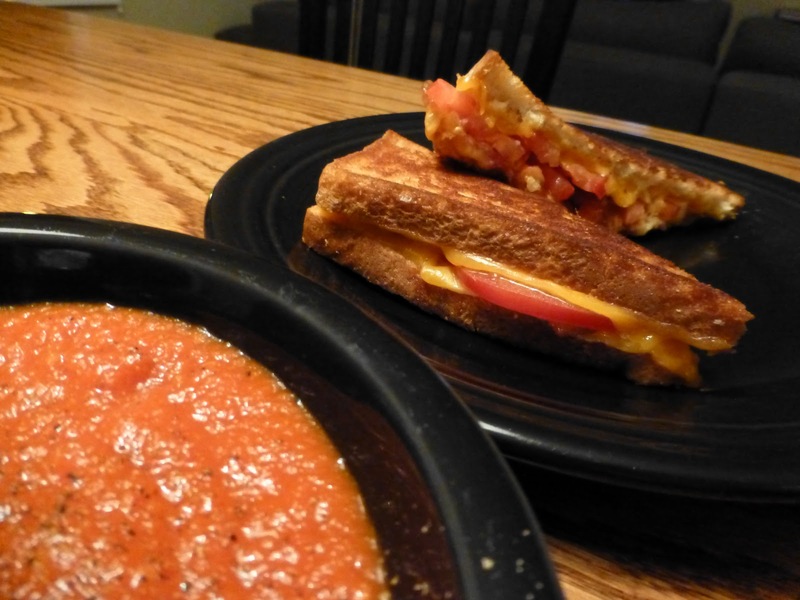 I decided to make homemade tomato soup and a grilled cheese sandwich. Comfort food. 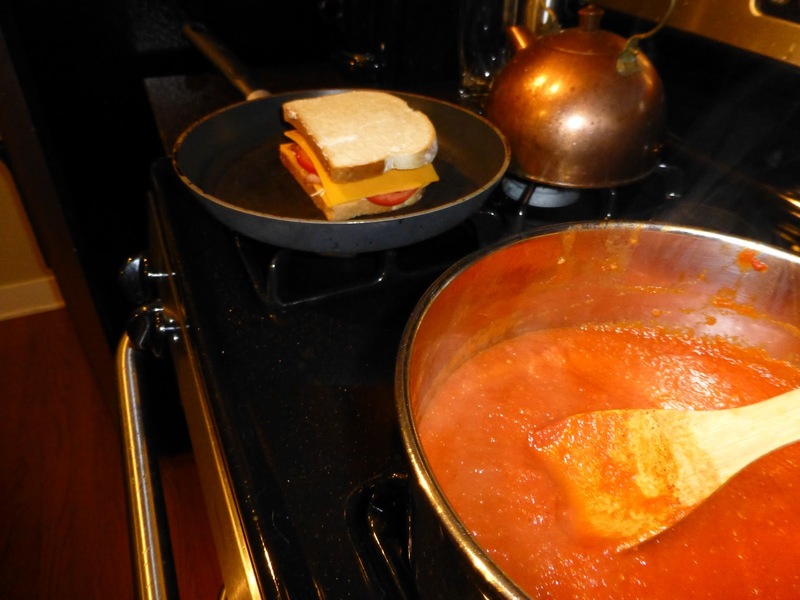 I pulled out the classic Joy of Cooking cookbook and found their simple tomato soup recipe. This was by far the easiest soup recipe I’ve ever made. 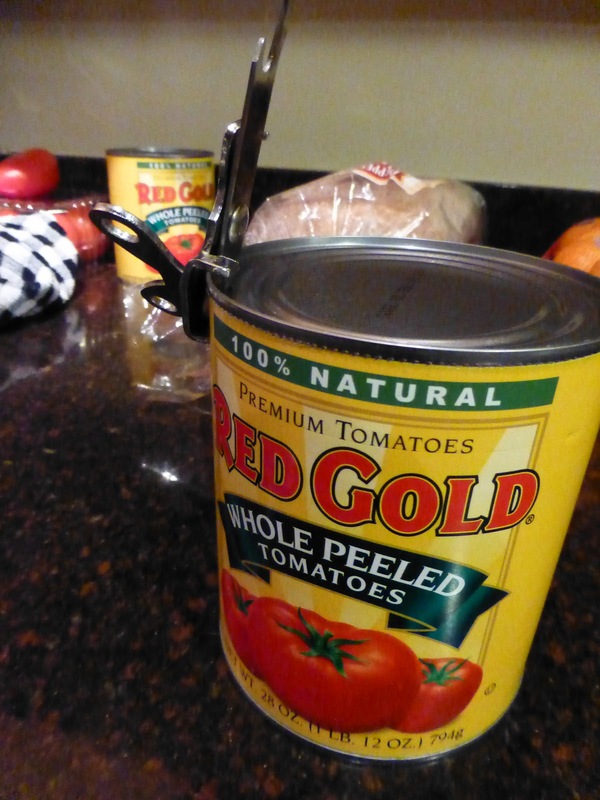 Chop an onion, saute in olive oil, dump two 28 ounce cans of whole peeled tomatoes into the pot and cook for 30-60 minutes. 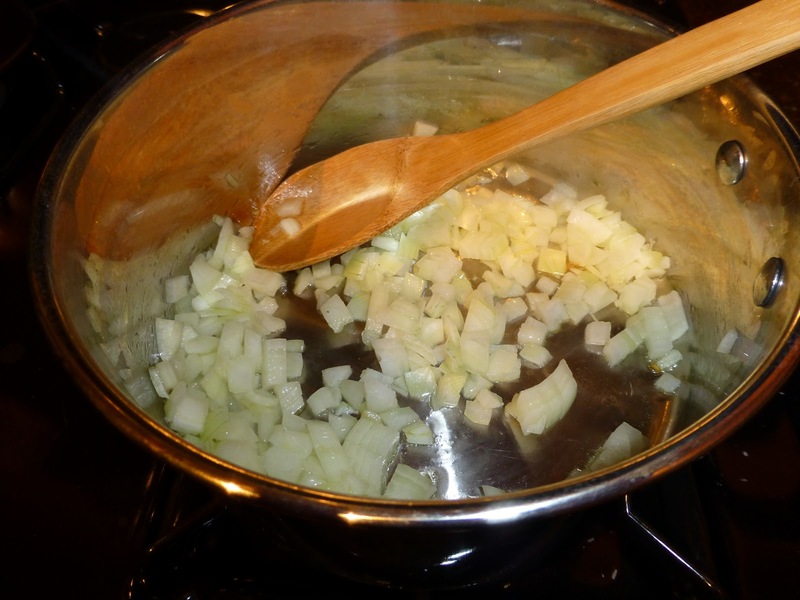 Once cooked down, puree the soup with either an immersion blender, food processor of blender. I chose the latter. Return to the pan and heat thoroughly. Add salt and pepper to taste. I told you this was crazy easy. I added a bit of basil to the soup too — how can you have a tomato soup without basil? 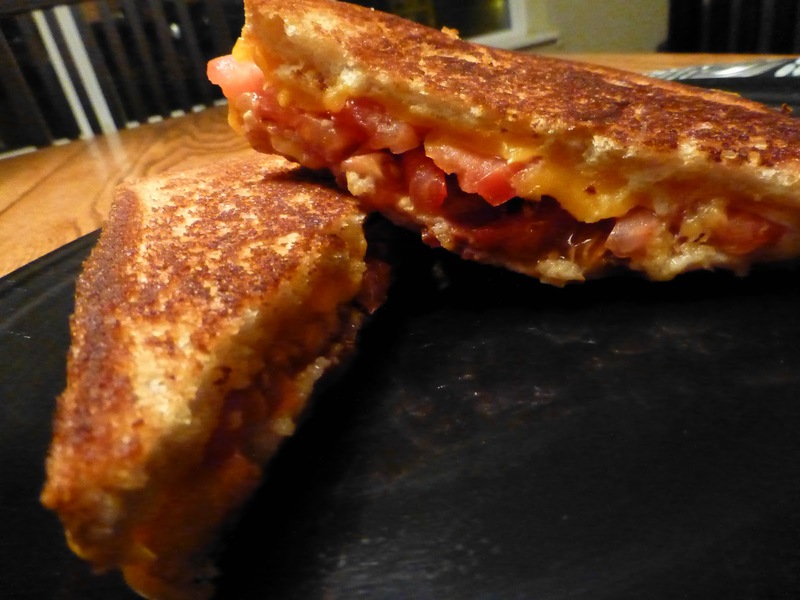 I made a cheese sandwich too — and since I am a big fan of gluttony I added a bunch of bacon and tomato to the sandwich. What did you fix for dinner tonight? 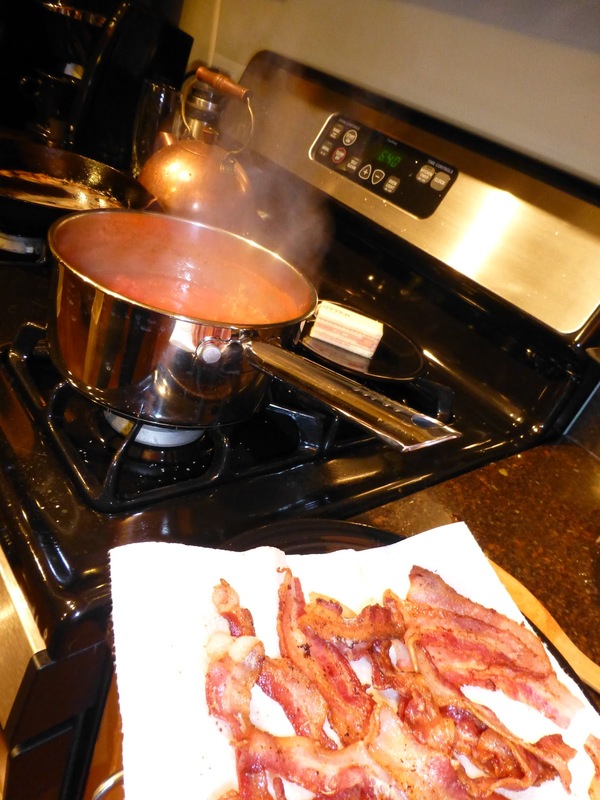 Did you cook up a big pile of bacon to go with whatever you were cooking? By Tim in Food on November 18, 2012 .